Argentina is a very lucky team. Pumas coach Jorge Sampaoli is an even luckier man. Legend Diego Maradona was a nervous wreck watching from the VIP box as the two time World Cup winners survived two strong penalty claims to book a place in the knock out rounds. 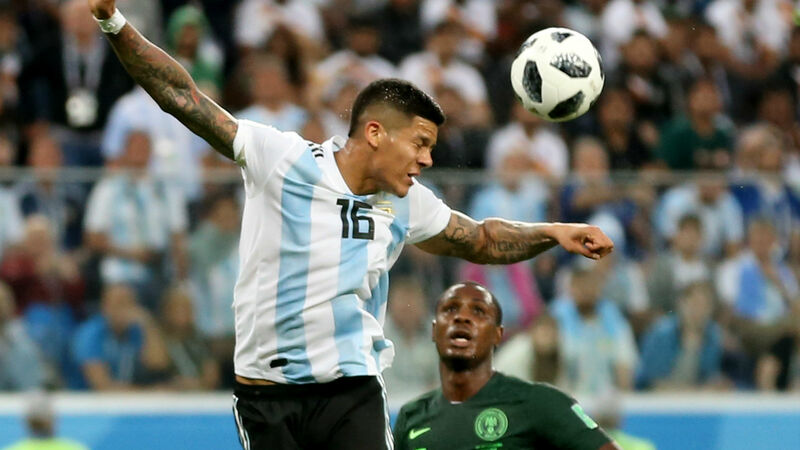 Marcos Rojo turned from potential villain to hero when he converted late on to propel the 1978 and 1986 world champions to a round of 16 clash with Didier Deschamps’ 1998 champions despite having earlier handled in the box, something Turkish referee Cüneyt Çakır deemed as a ‘ball to hand’ after consultation with the VAR. Nigeria’s Super Eagles would be right to feel hard done by. Teenage custodian Francis Uzohu only faced three shots of notable worth. The first was converted with aplomb by Albicete skipper Lionel Messi. 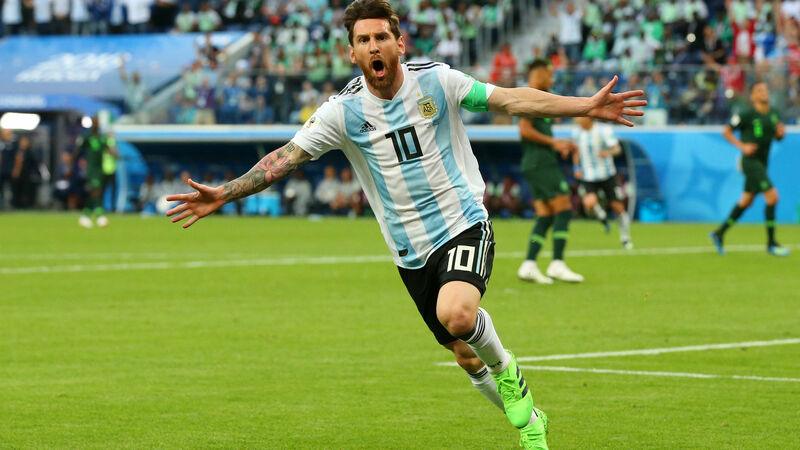 The second, a Messi free kick, was deflected by Uzohu onto the upright, while the third was Rojo’s match winner – yet more incontestable proof football is a game of thin margins. Russia 2018 is proving a most forgettable tournament, as Gerhot Rohr’s side became Africa’s fourth World Cup representatives to fall by the way side. With Morocco, Egypt and Tunisia already home; our last remaining hope is Senegal. If Nigeria’s Football Association can show the requisite patience with German tactician Rohr, they will be onto something serious. 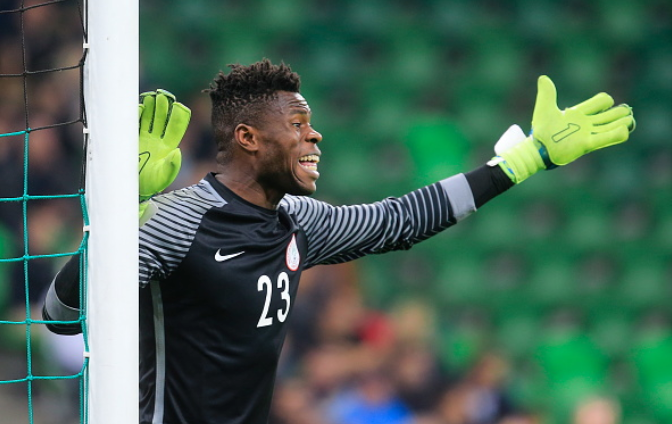 Despite fielding one of the three youngest sides at the World Cup, Nigeria showed great promise. On the flip side, even with the greatest player in modern times, Messi in their ranks, Argentina need vast improvement to overcome a France side that didn’t need to get out of first gear to top Group C.
In Oghenekaro Etebo, Rohr has unearthed a gem. The Las Palmas midfield maestro has everything – vision, work rate and resilience. Super Eagles fans can rest comfortable they’ve found a heir to John Obi Mikel, Augustine Okocha and Sunday Oliseh.